Recently we at Dandelions Flowers have joined the 3/50 Project– a movement that encourages the support of buying local and supporting locally owned businesses. As a family-owned business, Dandelions can appreciate the need for people to buy local. We, in turn, buy local product whenever we can. The summer is an especially great time to find locally-grown flowers in our arrangements and in our cooler. This is a great reminder that it doesn’t take much to make an impact. In these tough economic times it is more important than ever to support the business that relies on the local community. Flowers have been called “nature’s Prozac” and everyone could use a little pick-me-up these days. Click here to check out our great options for under $29.99! 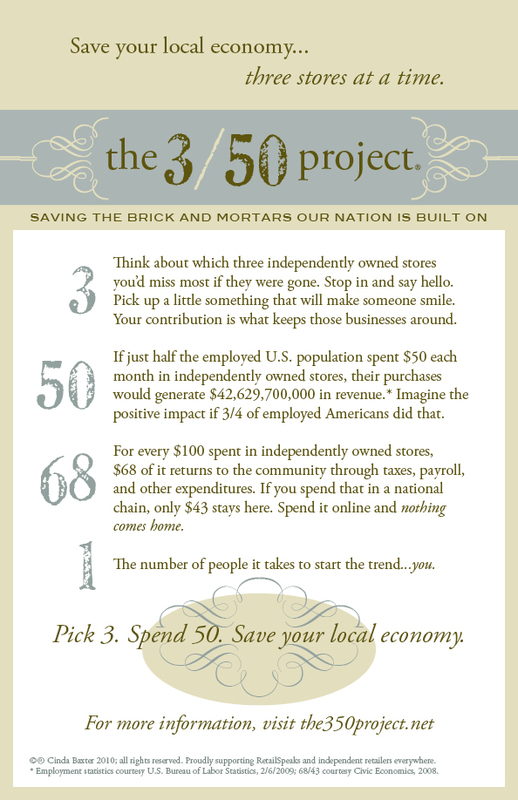 To learn more about the 3/50 Project and how you can stimulate your local economy, visit their website the350project.net.